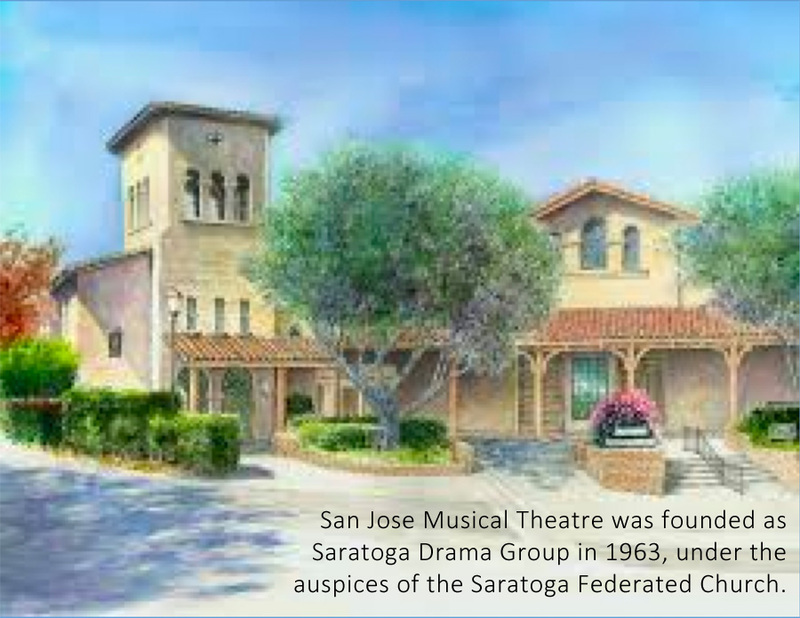 South Bay Musical Theatre (formerly Saratoga Drama Group) has been presenting top-notch musical theater to the South Bay Area for over 50 years. Each annual season features three fully staged and costumed productions with a live orchestra, including both beloved musical “classics” and lesser-known—but equally captivating—shows. Originally formed in 1963 under the auspices of the Saratoga Federated Church, the Group mounted its early productions in the church’s Richards Hall. By 1966, audiences had grown so large that the Group moved its venue to the 300-seat Saratoga Council Chambers, changing the name of the building to the Saratoga Civic Theatre.